Since, for no good reason, I have neglected to blog my photos from the last two home Packer games, I have decided to post both games in one big blog post. Both games resulted in another two wins for the Pack. It seems like they are on a pretty good roll, but only time will tell if they keep their win streak going with all the recent injuries the team has sustained. Hopefully they can find ways to keep winning. Here are the photos. Thanks for looking. 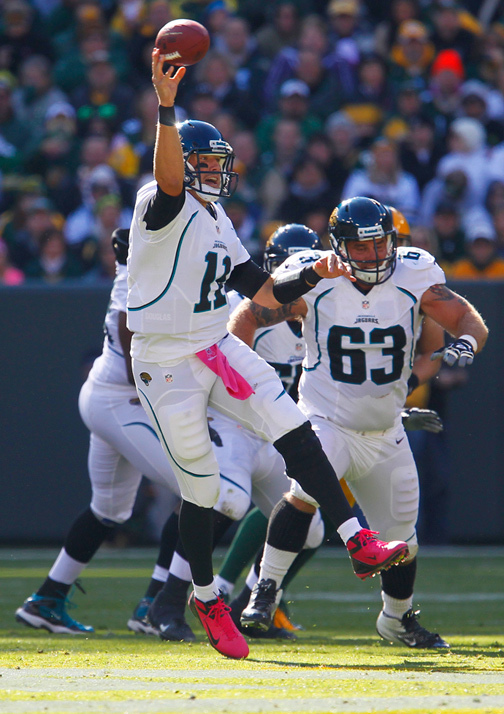 Jacksonville Jaguars quarterback Blaine Gabbert throws a pass against the Green Bay Packers. 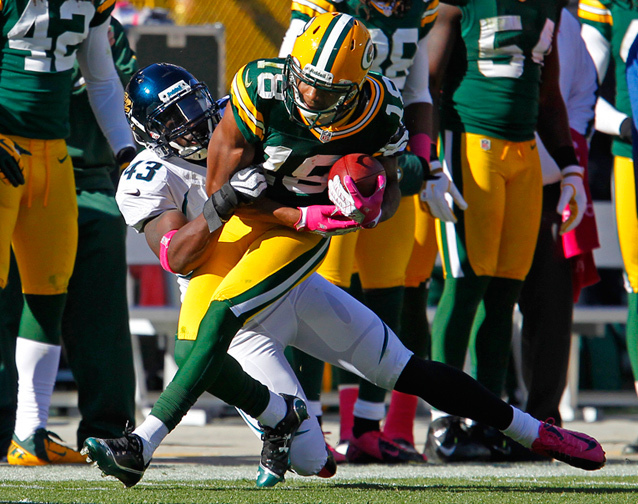 Green Bay Packers linebacker Brad Jones (59) and strong safety M.D. 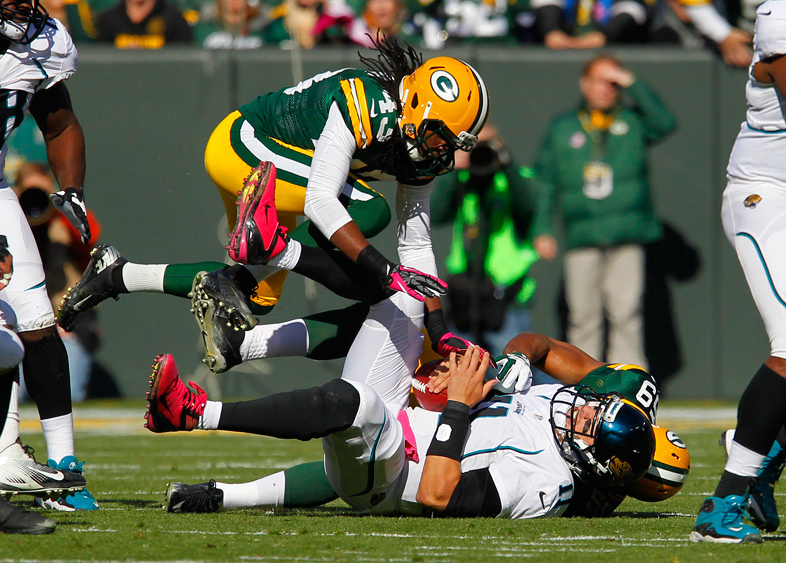 Jennings (43) sack Jacksonville Jaguars quarterback Blaine Gabbert. 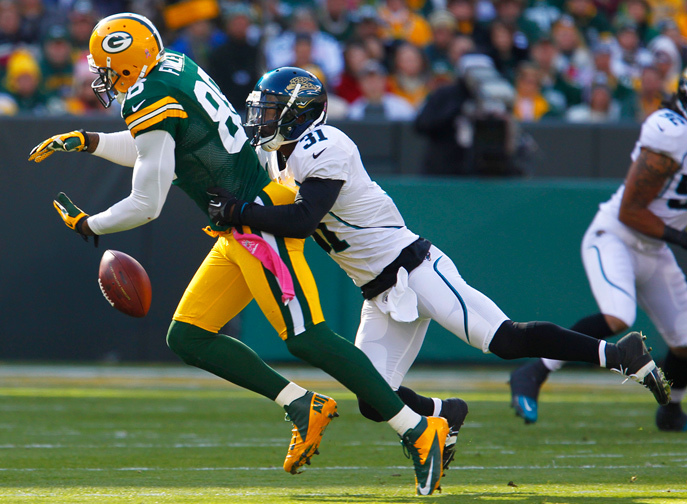 Green Bay Packers tight end Jermichael Finley drops a pass while being covered by Jacksonville Jaguars cornerback Aaron Ross. 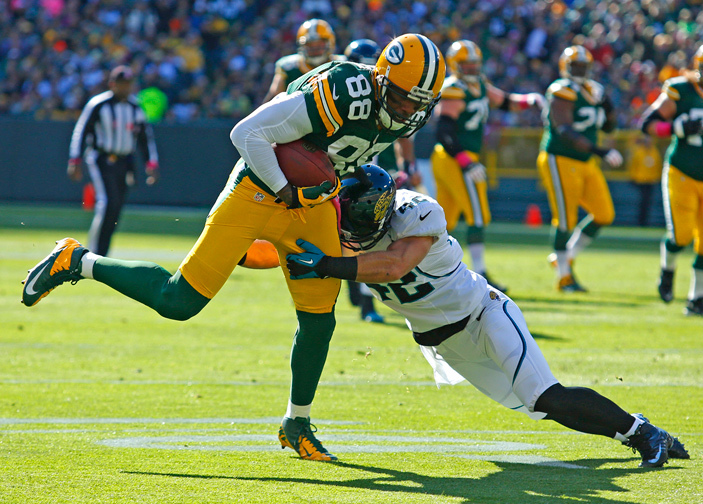 Green Bay Packers tight end Jermichael Finley catches a pass while being covered by Jacksonville Jaguars strong safety Chris Prosinski. 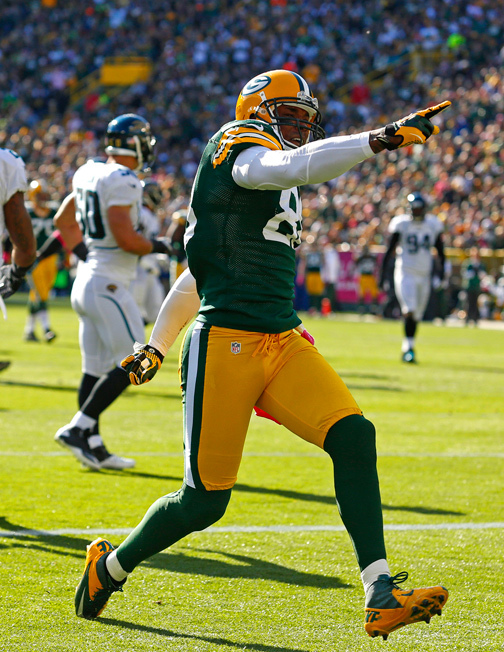 Green Bay Packers tight end Jermichael Finley celebrates a first down against the Jacksonville Jaguars. 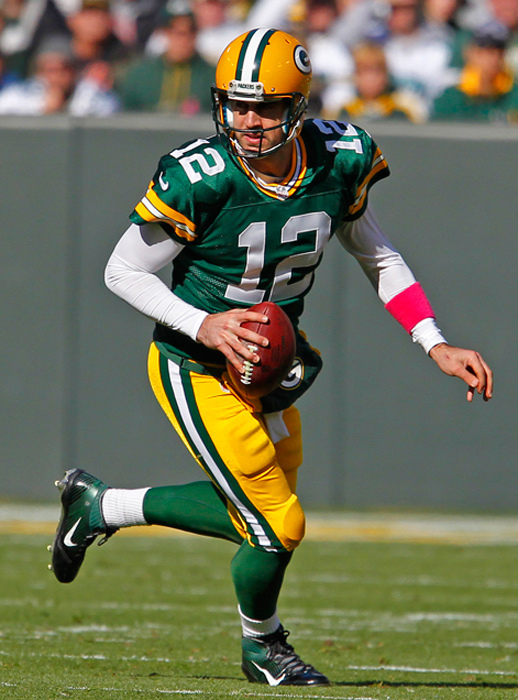 Green Bay Packers quarterback Aaron Rodgers scrambles during a play against the Jacksonville Jaguars. 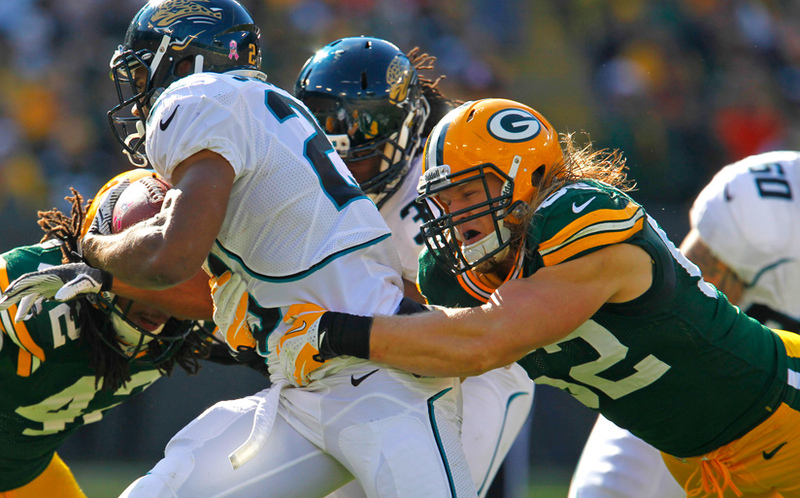 Green Bay Packers outside linebacker Clay Matthews tackles Jacksonville Jaguars running back Rashad Jennings. 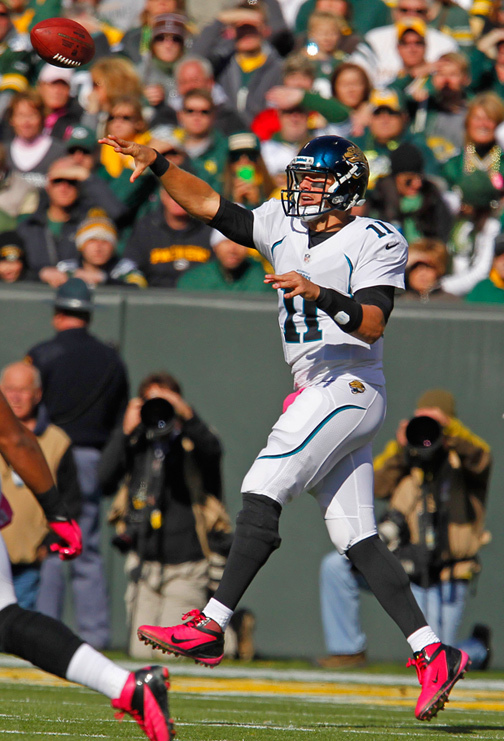 Jacksonville Jaguars quarterback Blaine Gabbert in action against the Green Bay Packers. Jacksonville Jaguars wide receiver Cecil Shorts dives to try to make a catch while being covered by Green Bay Packers cornerback Tramon Williams. Green Bay Packers running back Alex Green is hit during a run by Jacksonville Jaguars outside linebacker Russell Allen. 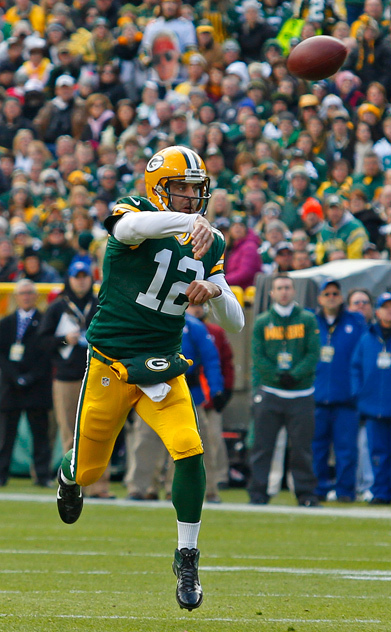 Green Bay Packers quarterback Aaron Rodgers in action against the Jacksonville Jaguars. 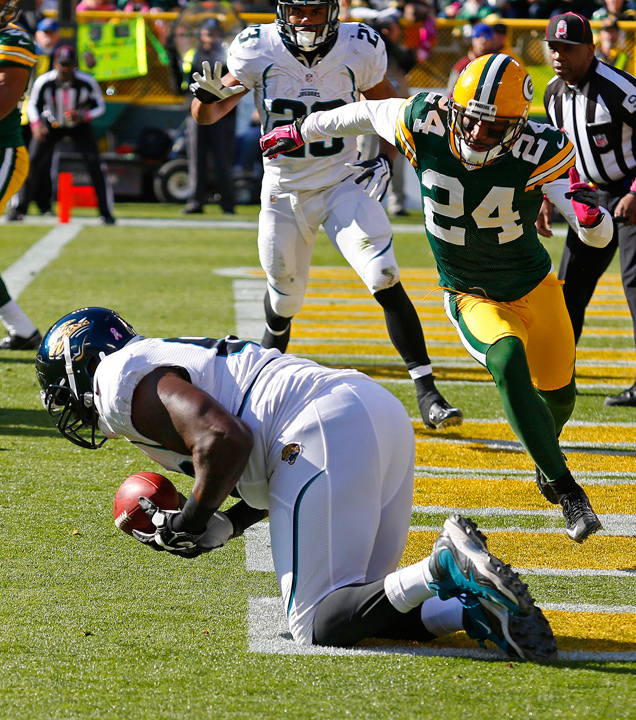 Jacksonville Jaguars tackle Guy Whimper scores a touchdown against the Green Bay Packers. 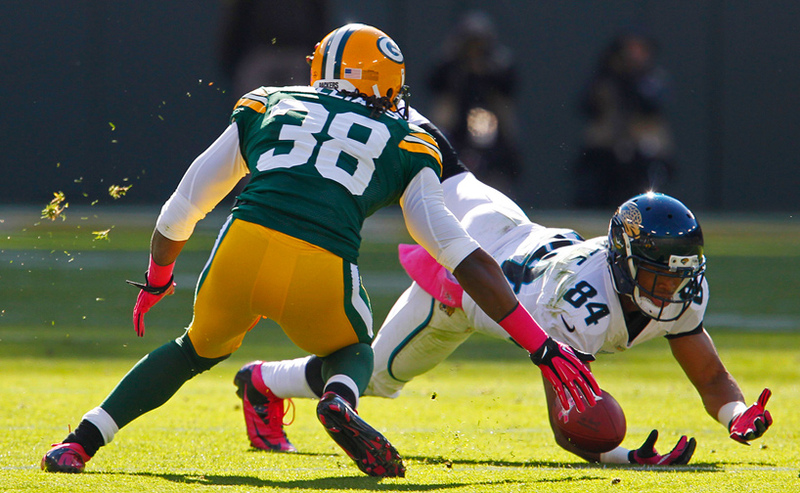 Green Bay Packers wide receiver Randall Cobb is taken down by Jacksonville Jaguars defensive back Chris Harris. Green Bay Packers wide receiver Donald Driver scores a touchdown while being covered by Jacksonville Jaguars strong safety Chris Prosinski. 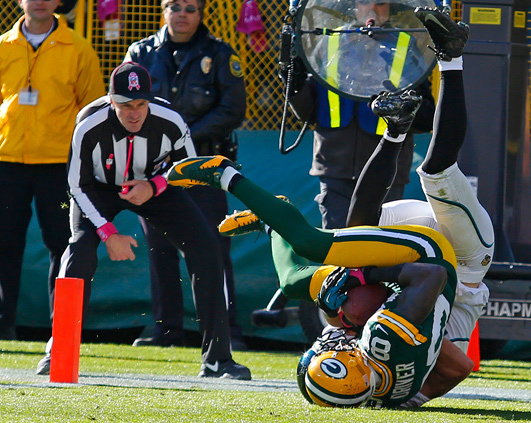 Green Bay Packers tight end Jermichael Finley is hit after making a catch by Jacksonville Jaguars cornerback William Middleton. 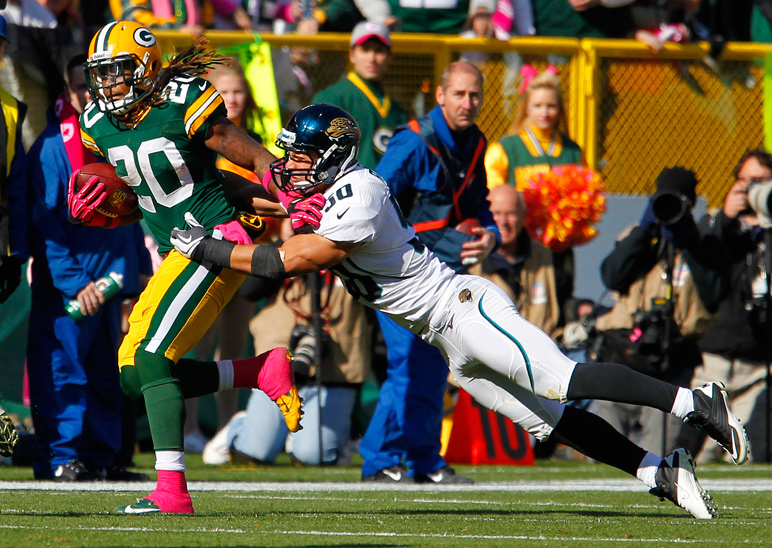 Jacksonville Jaguars wide receiver Cecil Shorts catches a pass while being covered by Green Bay Packers cornerback Tramon Williams. 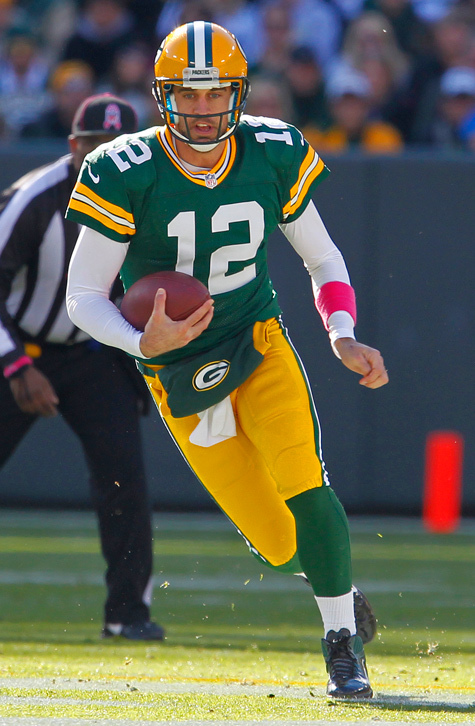 Green Bay Packers quarterback Aaron Rodgers throws a pass during an NFL football game against the Arizona Cardinals. 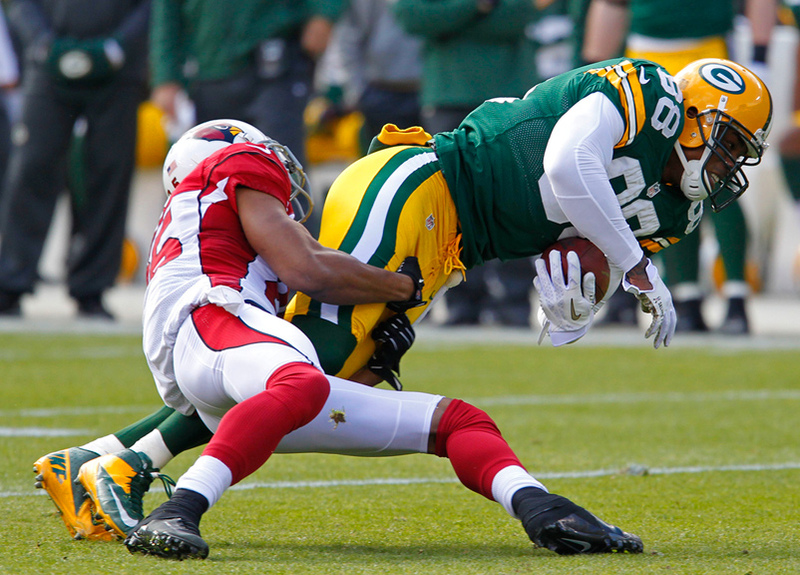 Green Bay Packers wide receiver Randall Cobb scores a touchdown while being hit by Arizona Cardinals cornerback Patrick Peterson. 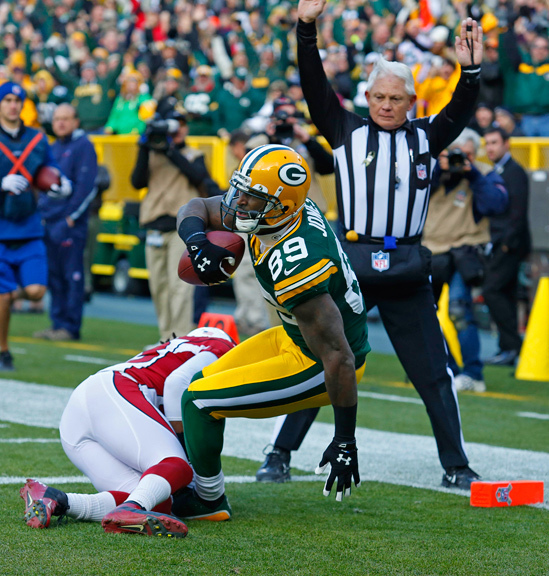 Green Bay Packers tight end Jermichael Finley is hit by Arizona Cardinals free safety Kerry Rhodes after making a catch. 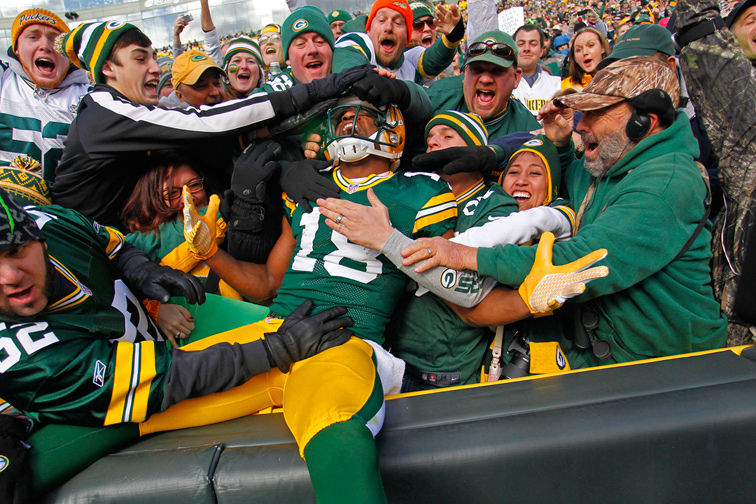 Green Bay Packers wide receiver Randall Cobb performs a Lambeau Leap after scoring a touchdown against the Arizona Cardinals. 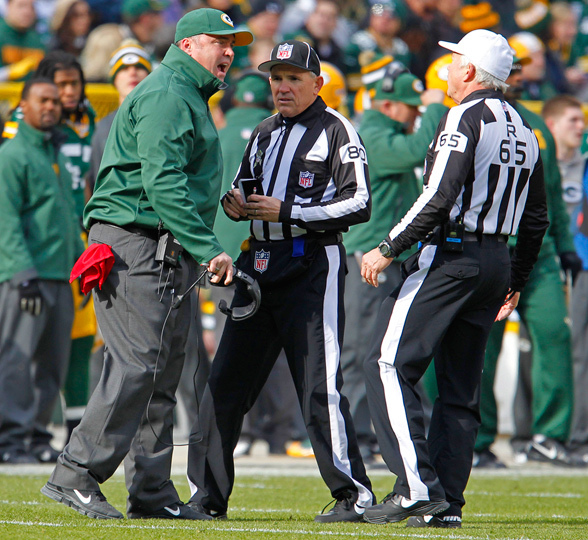 Green Bay Packers head coach Mike McCarthy yells to officials after a play against the Arizona Cardinals. 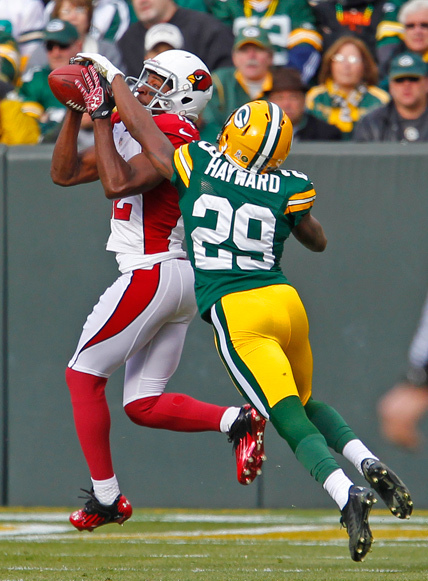 Arizona Cardinals wide receiver Andre Roberts makes a catch while being covered by Green Bay Packers cornerback Casey Hayward. 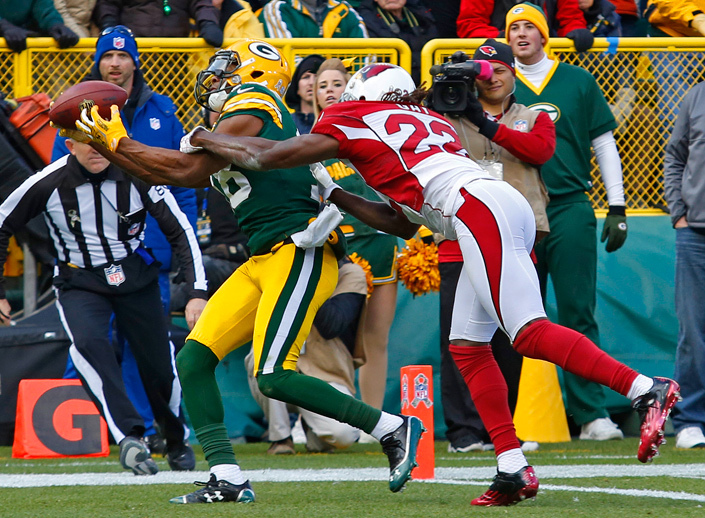 Green Bay Packers wide receiver Randall Cobb scores a touchdown while being covered by Arizona Cardinals cornerback William Gay. 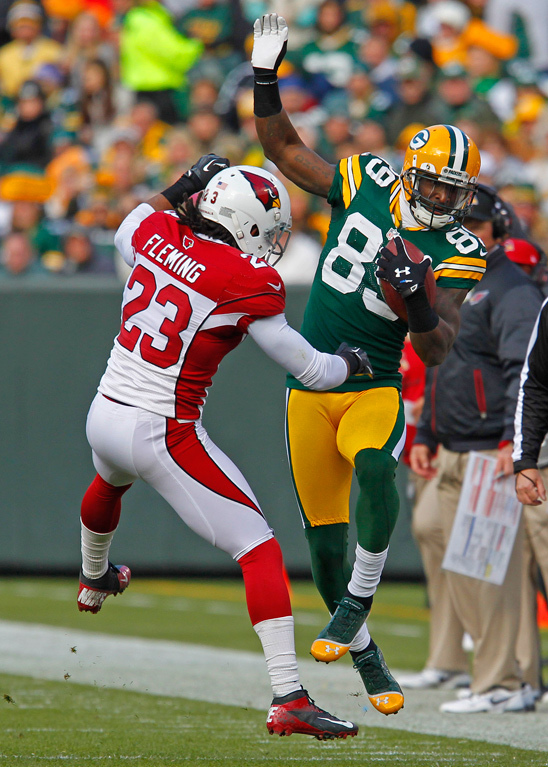 Green Bay Packers wide receiver James Jones runs over Arizona Cardinals cornerback Jamell Fleming to score a touchdown. 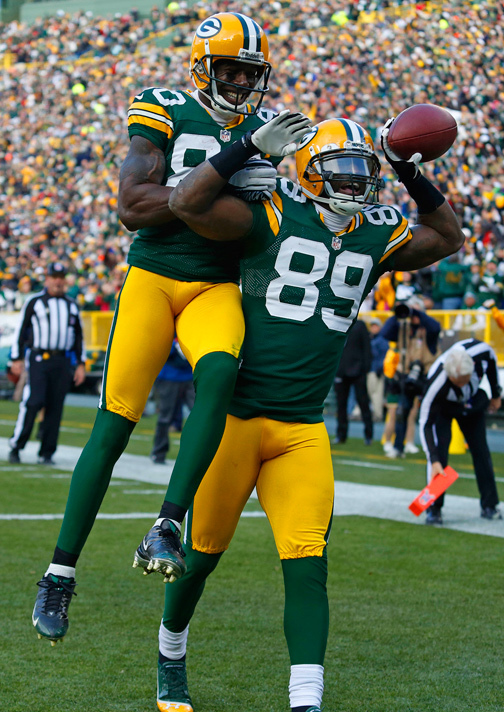 Green Bay Packers wide receiver James Jones (89) celebrates scoring a touchdown again the Arizona Cardinals with wide receiver Donald Driver (80). 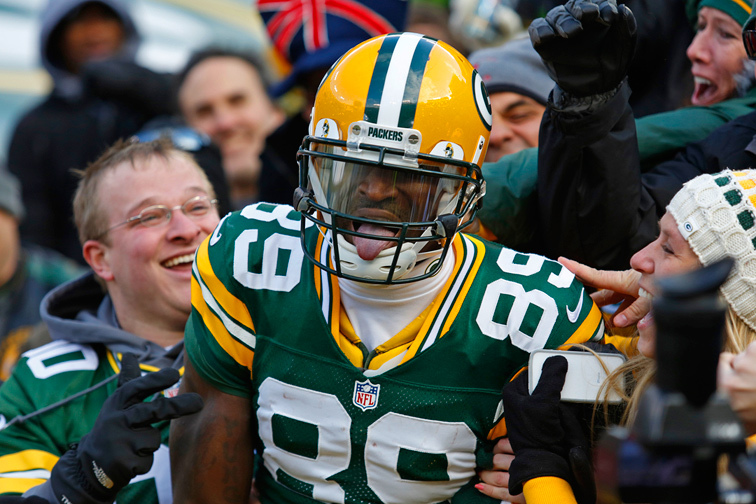 Green Bay Packers wide receiver James Jones celebrates scoring a touchdown against the Arizona Cardinals by performing a Lambeau Leap. 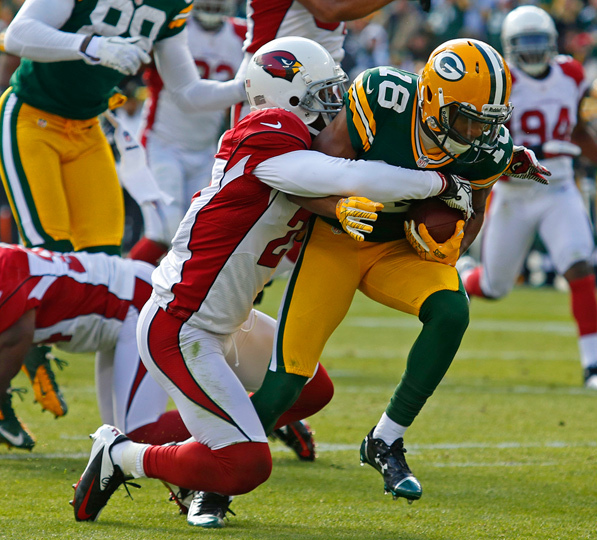 Green Bay Packers wide receiver James Jones is pushed out of bounds by Arizona Cardinals cornerback Jamell Fleming. 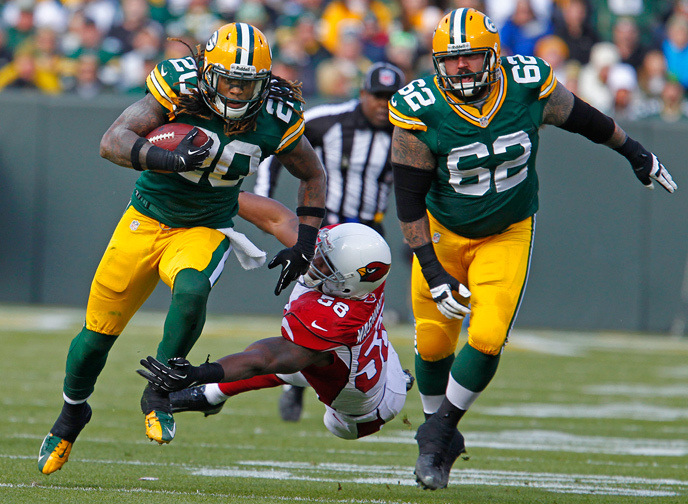 Green Bay Packers running back Alex Green runs through an attempted tackle by Arizona Cardinals inside linebacker Daryl Washington. 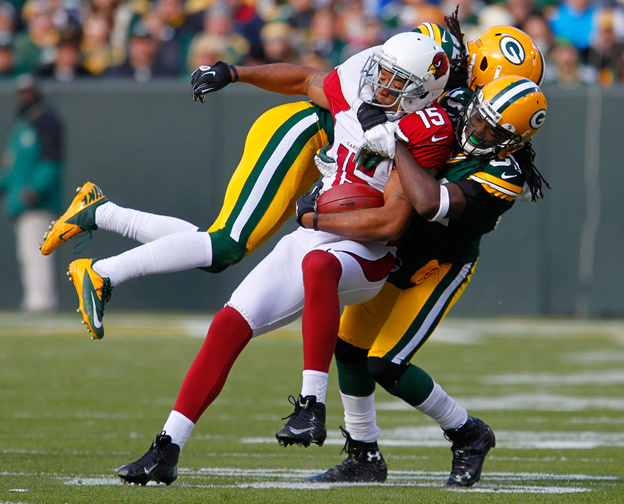 Arizona Cardinals wide receiver Michael Floyd is hit by Green Bay Packers free safety Morgan Burnett (42) and cornerback Davon House (31) . 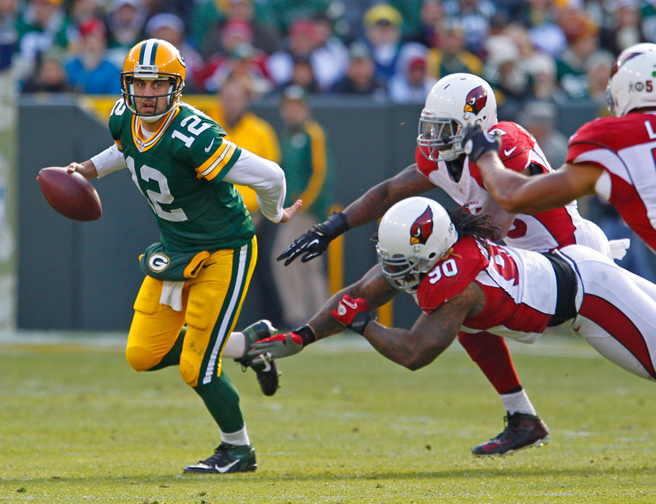 Green Bay Packers quarterback Aaron Rodgers in action against the Arizona Cardinals. 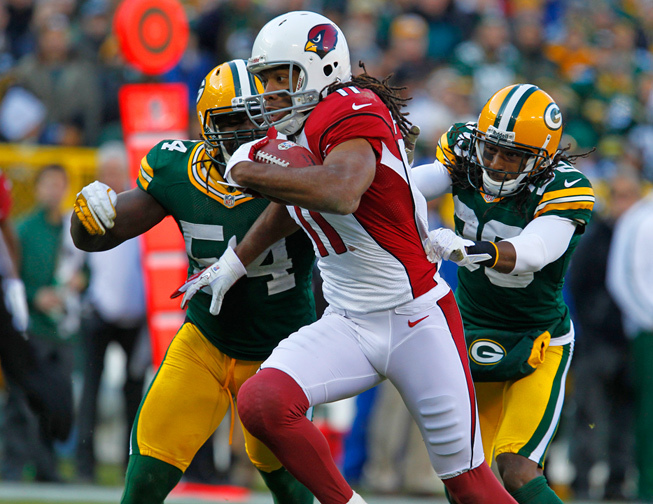 Arizona Cardinals wide receiver Larry Fitzgerald runs after making a catch while being covered by Green Bay Packers linebacker Dezman Moses (54) and cornerback Tramon Williams (38). 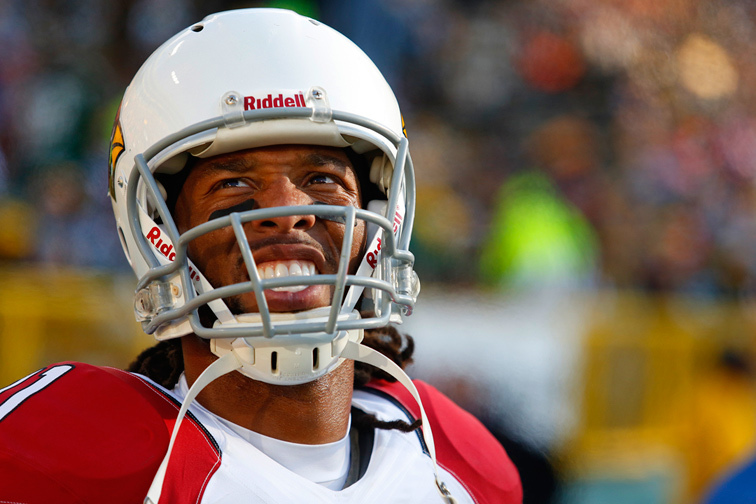 Arizona Cardinals wide receiver Larry Fitzgerald is seen on the sidelines during an NFL football game against the Green Bay Packers. 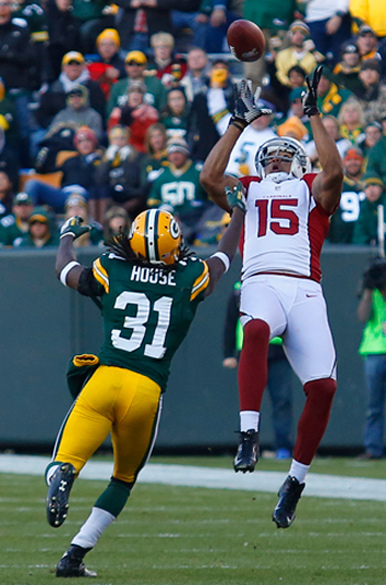 Arizona Cardinals wide receiver Michael Floyd leaps to make a catch while being covered by Green Bay Packers cornerback Davon House. This entry was posted in Uncategorized on November 18, 2012 by ludtkephoto.